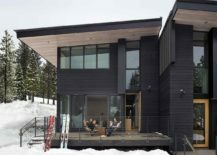 Reinventing the classic mountain chalet design with modernity, energy-efficiency and the unique charm of Lake Tahoe, Mountainside Stellar Residences and Townhomes are for those who love comfort, fun-filled ski slopes and amazing views rolled into one. 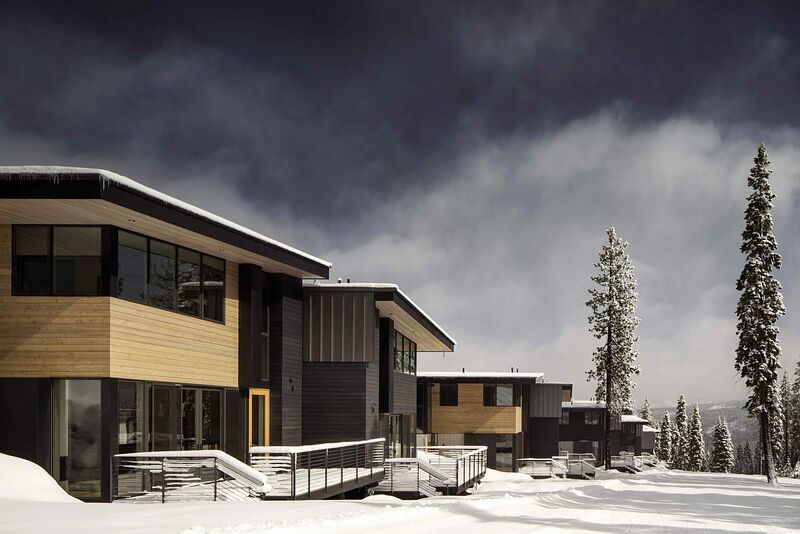 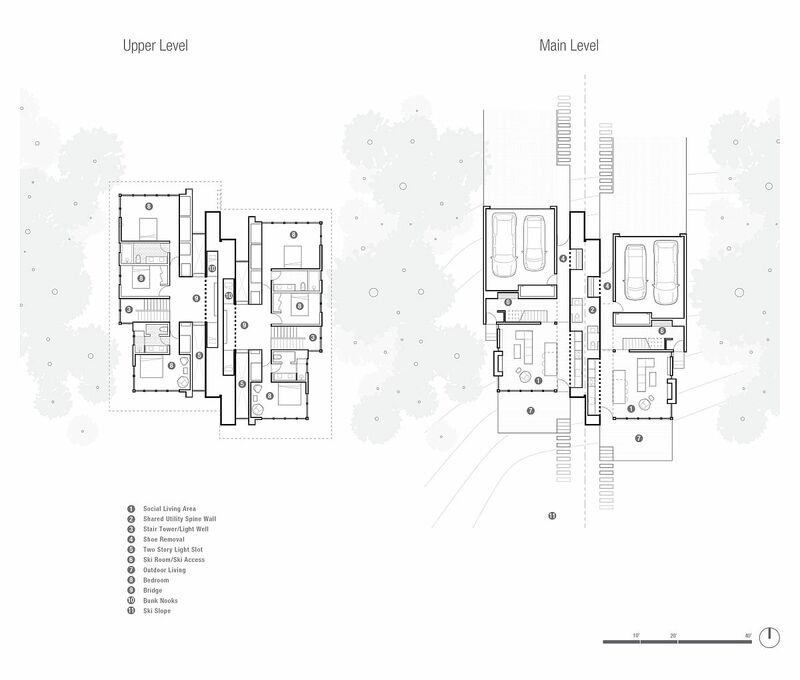 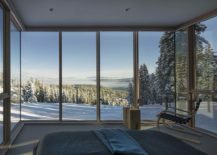 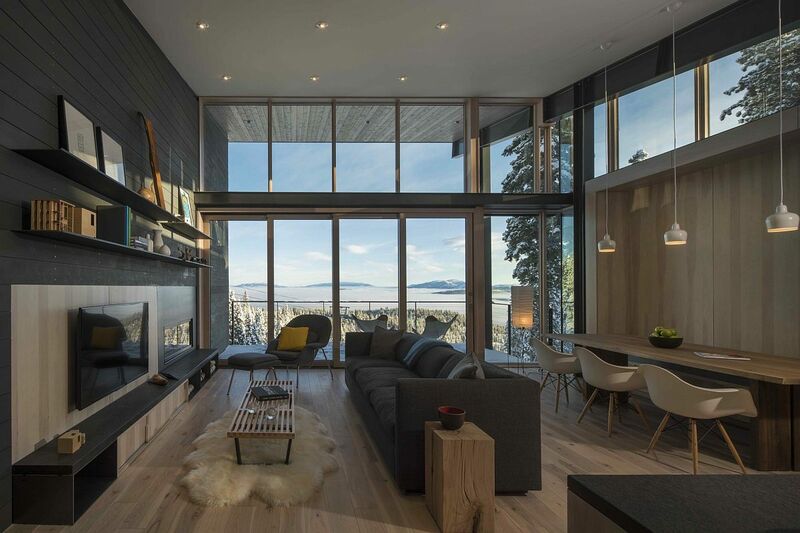 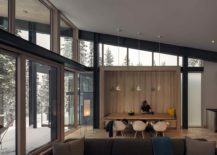 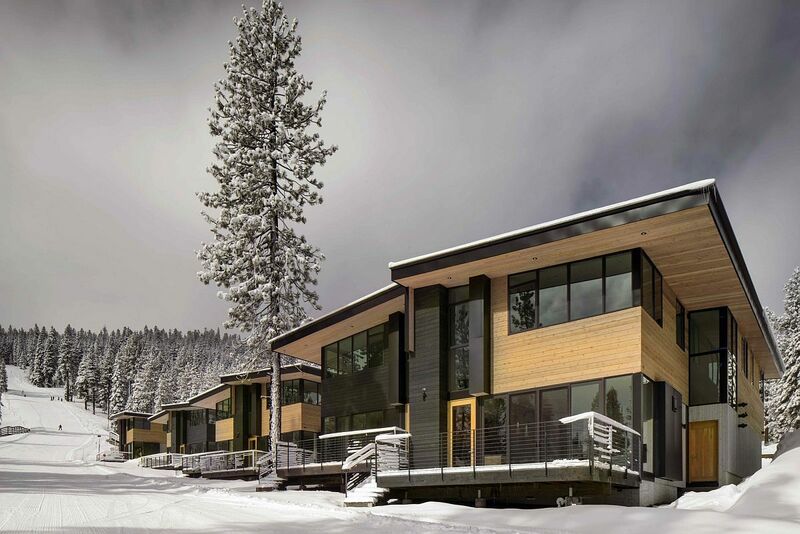 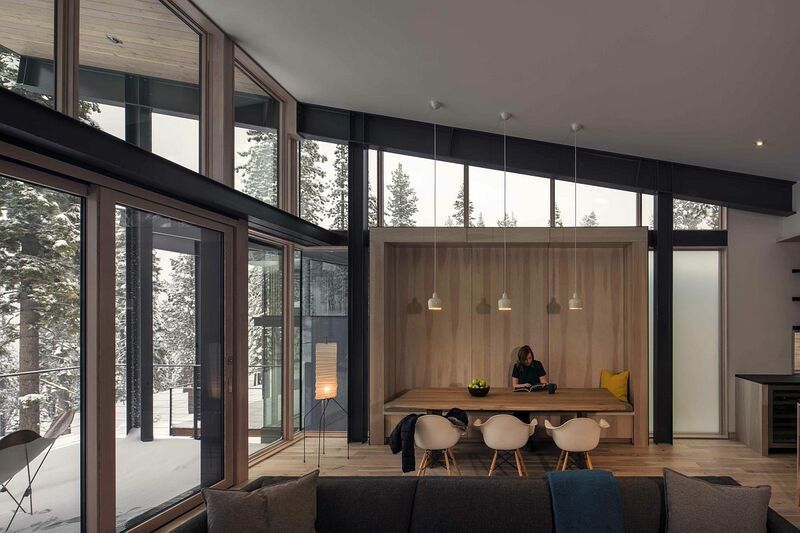 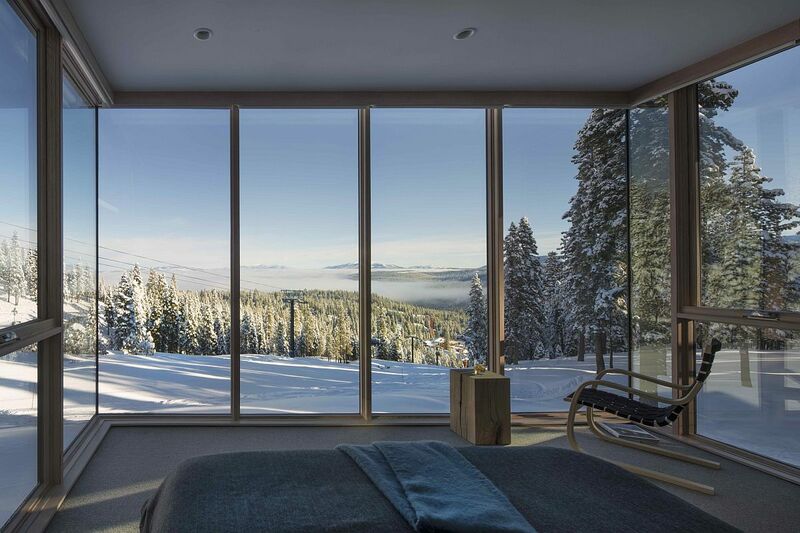 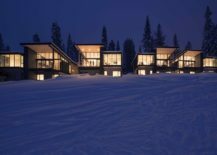 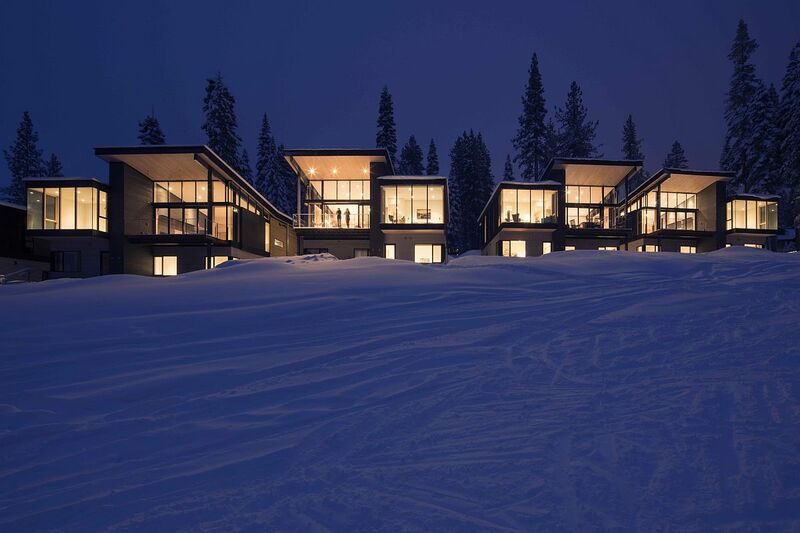 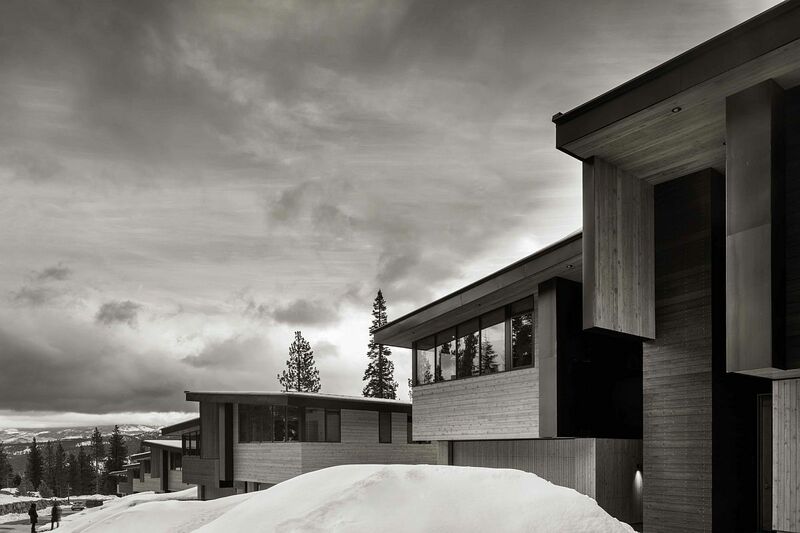 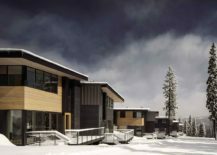 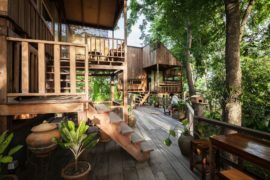 A series of six single-family residences and eleven townhouses designed by Bohlin Cywinski Jackson, these mountainside escapes allow homeowners to move away from mundane city life even while wrapping them in modernity and a tech-savvy lifestyle. 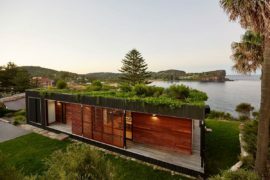 This is essentially a flawless marriage of two contrasting worlds – one bringing natural goodness and the other contemporary innovation. 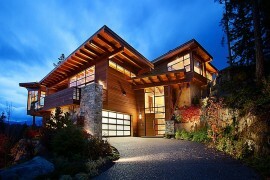 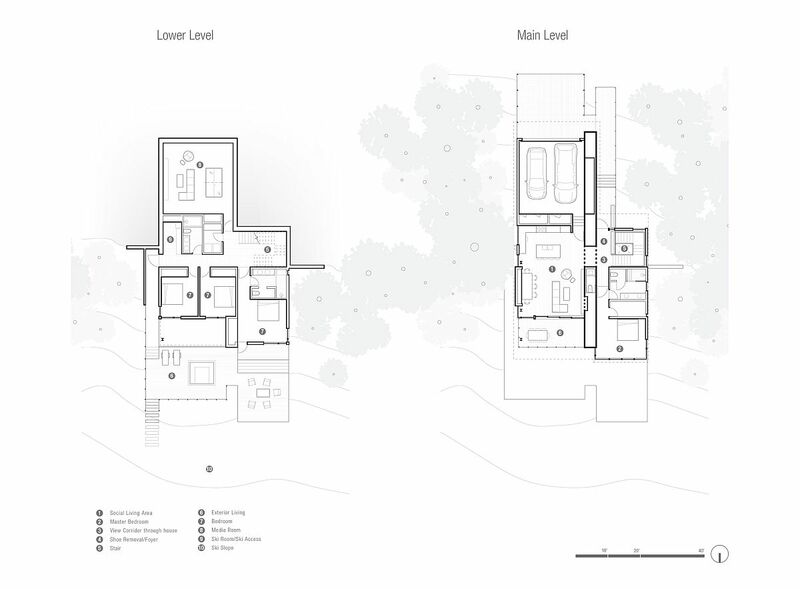 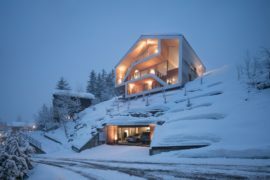 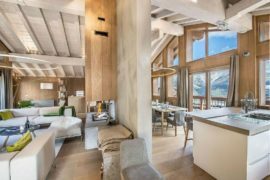 Each of the townhouses and residences has direct ski-in/ski-out access making them absolutely perfect holiday homes. 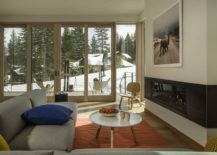 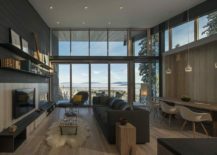 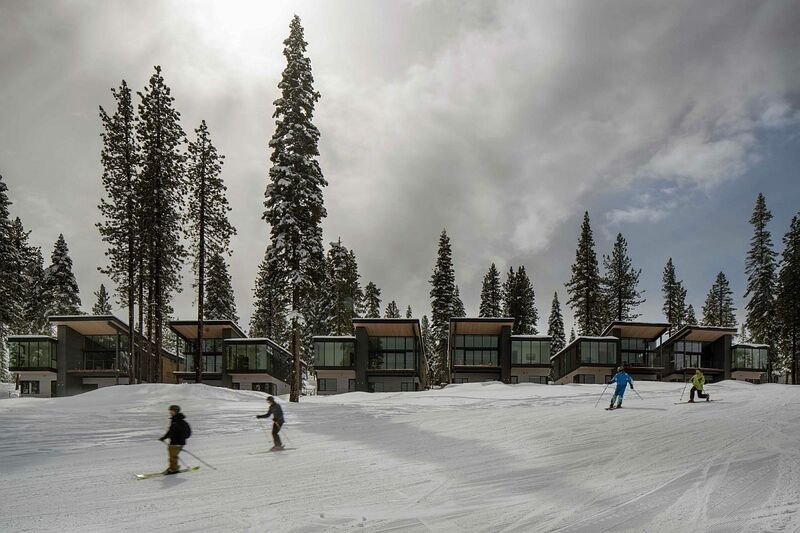 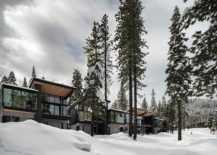 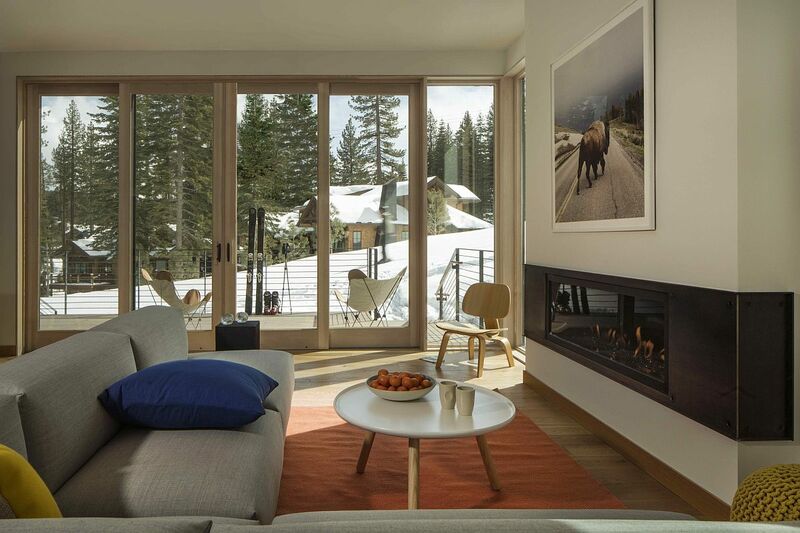 Beyond the obvious grandeur of the landscape and the appeal of a serene home in Truckee, there are an array of sustainable features and planet-friendly design methods that make these homes a hit among the green crowd as well. 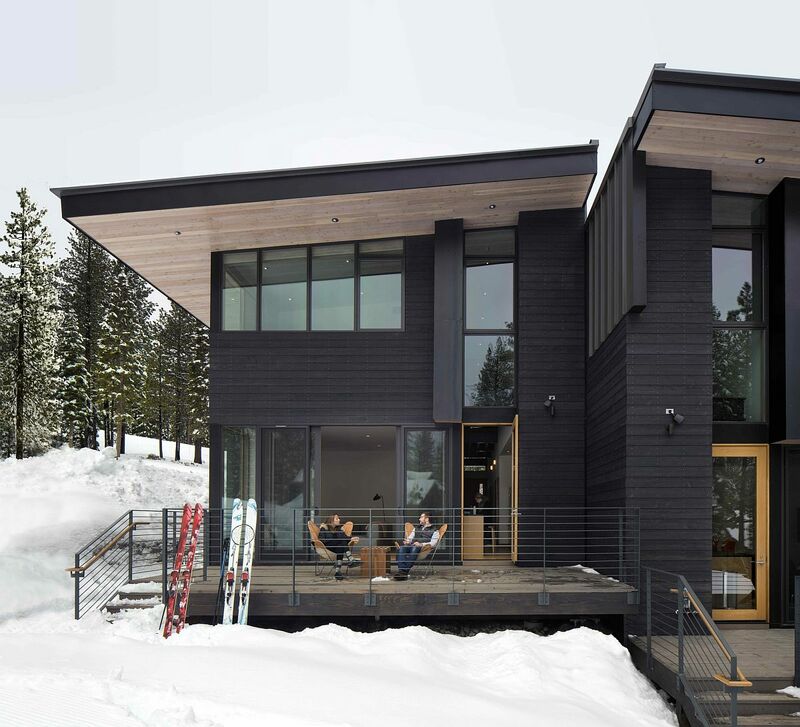 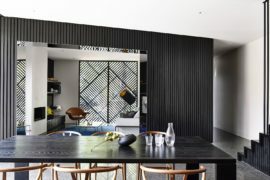 Despite using wood, glass and stone, the presence of straight lines, a neutral color scheme, gray exterior and contemporary décor gives each of the houses a distinct modern look.